146 Beacon was built ca. 1862, one of two houses (144-146 Beacon) built at different times but designed as a single symmetrical unit with a common cornice and mansard roof, and with matching entrances. The land for 146 Beacon was purchased by Susan Jones Welles and her sister, Jane Welles, on November 12, 1860, from John Adams Blanchard. It was the western portion of a lot he had purchased on July 28, 1859, from the Boston and Roxbury Mill Corporation. 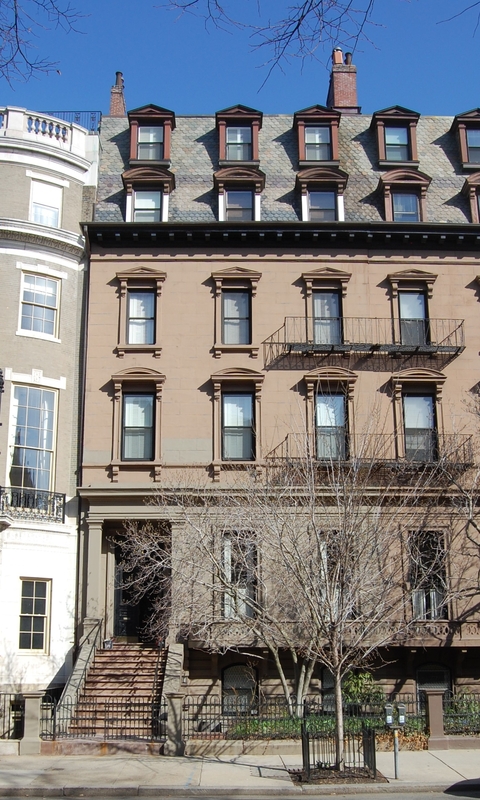 He had completed his home at 144 Beacon by the time he sold the remaining land to the Misses Welles. Click here for an index to the deeds for 146 Beacon. When the Welles sisters bought the land, their brother-in-law, Horatio Hollis Hunnewell, husband of Isabella Pratt (Welles) Hunnewell, entered into a letter agreement on their behalf with John Blanchard. 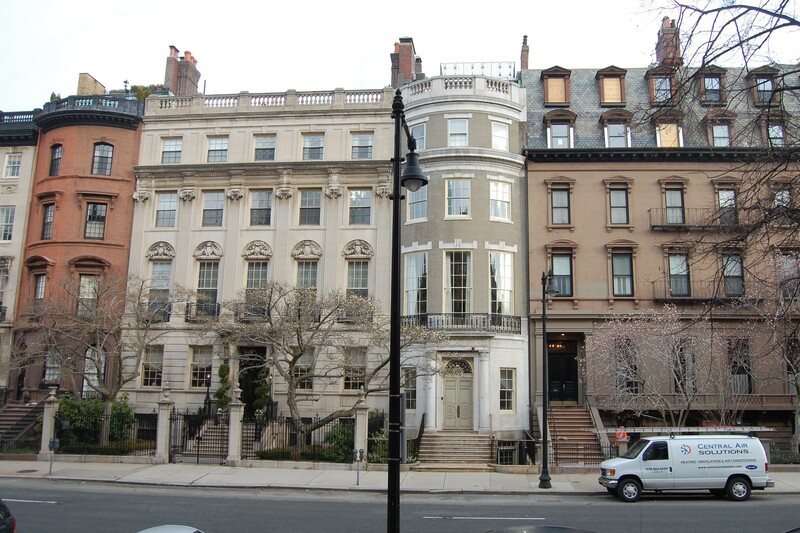 The letter to John Blanchard, which was quoted in the 1866 deed by which the Welles sisters sold the house, stated in pertinent part: “Dear Sir: You having this day conveyed to the Misses Susan J. and Jane Welles the lot on Beacon Street adjoining the house recently erected by you for your own residence, I agree for them that within one year from the first day of May next the erection of a dwelling house on said lot shall be commenced and continued until completion, the front façade, the height and depth, steps & fence shall be similar and in conformity to said house erected by you…”. Susan and Jane Welles lived at 59 Summer and never moved to 146 Beacon. It appears to have been unoccupied for several years after it was completed. On April 23, 1866, 146 Beacon was purchased from the Misses Welles by George Carter Richardson. He and his wife, Ellen (Gregory) Richardson, previously had lived in Cambridge. George Richardson was a dry goods merchant and also president of the National Union Bank. The Richardsons continued to live at 146 Beacon until his death in May of 1886. On November 1, 1886, 146 Beacon was purchased from George Richardson’s estate by John Francis Anderson, a dry goods merchant. He and his wife, Ellen Sears (Amory) Anderson, lived at 185 Beacon. On January 8, 1887, 146 Beacon was purchased from John Anderson by architect Henry Sargent Hunnewell, the son of Horatio Hollis Hunnewelll and Isabella Pratt (Welles) Hunnewell. He had married in May of 1886 to Mary Bowditch (Whitney) Hunnewell, after which they had traveled in Europe for an extended period. Prior to their marriage, he had lived at 130 Beacon with his parents. During the 1890-1891 winter season, Henry and Mary Hunnewell were living elsewhere and 146 Beacon was the home of Susan (Walker) Longworth, the wife of Nicholas Longworth, whose usual residence was in Cincinnati. She probably was in Boston in conjunction with the graduation of her son, Nicholas, from Harvard in 1891. He subsequently became a lawyer and Congressman from Ohio, serving as Speaker of the House from 1926 to 1931. In February of 1906, he married Alice Lee Roosevelt, the daughter of President Theodore Roosevelt. 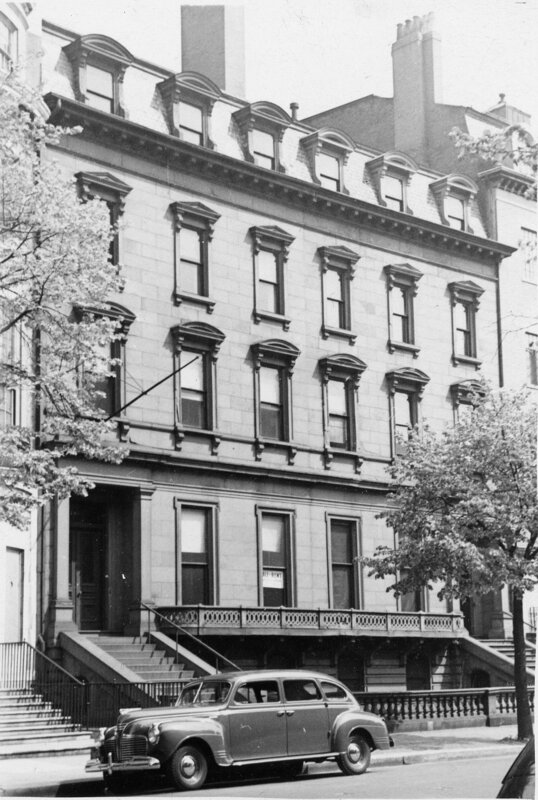 The Hunnewells resumed living at 146 Beacon during the 1891-1892 winter season, but were again elsewhere for the next season and it was the home of paper manufacturer and former Congressman William Augustus Russell and his wife Frances Spofford (Hall) Russell. The Russells had spent the previous winter at 151 Commonwealth, the home of Henry Hunnewell’s brother-in-law and sister, Robert and Isabella (Hunnewell) Shaw. 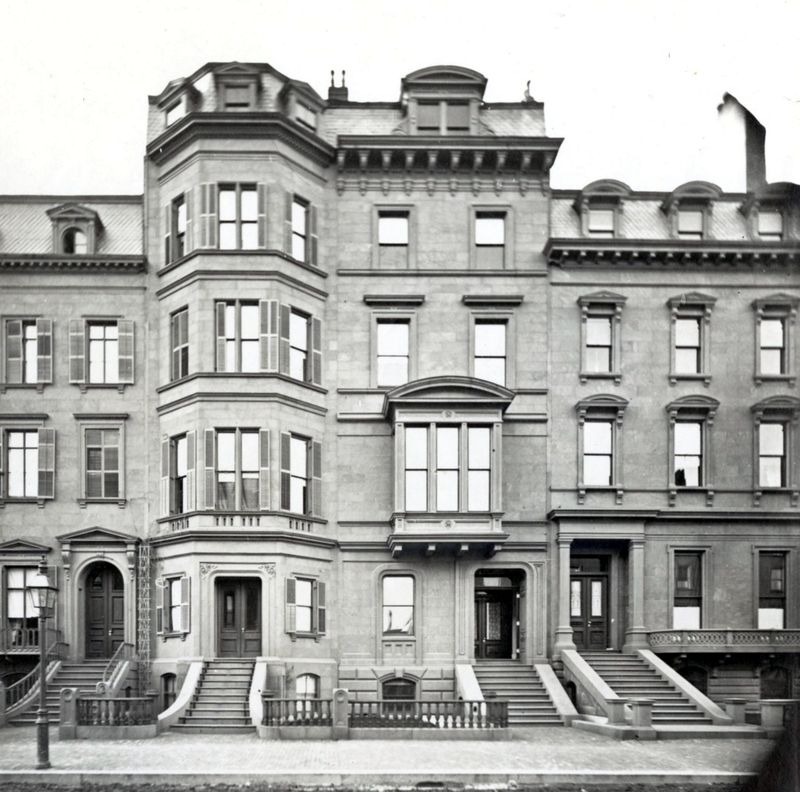 By the 1893-1894 winter season, the Russells had moved (and were living at 120 Beacon during the 1894-1895 winter season) and 146 Beacon was once again the home of the Hunnewells. Henry Hunnewell died in January of 1931, Mary Hunnewell continued to live at 146 Beacon and also maintained a home, The Cedars, in Wellesley. She died in March of 1940. On February 20, 1941, 146 Beacon was purchased from Henry Hunnewell’s estate by Charles Ripley Lynde, Jr., of Newton, a tire salesman. The property changed hands and on May 1, 1941, was acquired by Dr. John W. Meachen, a physician specializing in radiology. He and his wife, Stella (Bates) Meachen, lived at 9 Bay State Road. 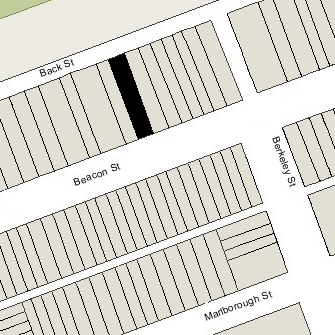 146 Beacon was shown as vacant in the 1941-1942 City Directories and was not listed in the 1941-1942 Lists of Residents. Willis Munro was an attorney by training. He had given up law practice to become a forester, but later resumed practice as a trustee. A widower (his wife, Marion Beach (Bogardus) Munro, had died in June of 1935), he lived in Mattapoisett and 146 Beacon was shown as vacant in the 1943-1949 City Directories and was not listed in the 1943-1949 Lists of Residents. In June of 1947, Willis Munro re-married to Ruth William Bowditch. They continued to live in Mattapoisett and, by 1950, made 146 Beacon their Boston home. He died in February of 1956. After his death, Ruth Munro was joined at 146 Beacon by her sisters, Caroline P. Bowditch and Marion (Bowditch) Steeves, the former wife of Walter Bingham Steeves. They previously had lived in Newton. They all continued to live at 146 Beacon and in Mattapoisett until the late 1970s. On April 23, 1982, 146 Beacon was purchased from Willis Munro’s estate by Farshid Hodjat and Farhad Hakimzadeh, trustees of the Mayflower Trust. In October of 1982, they filed for (and subsequently received) permission to remodel the building into four apartments. In April of 1984, they amended the plans to increase the number of units to five. On November 7, 1984, they converted the property into five condominium units, the 146 Beacon Condominium. 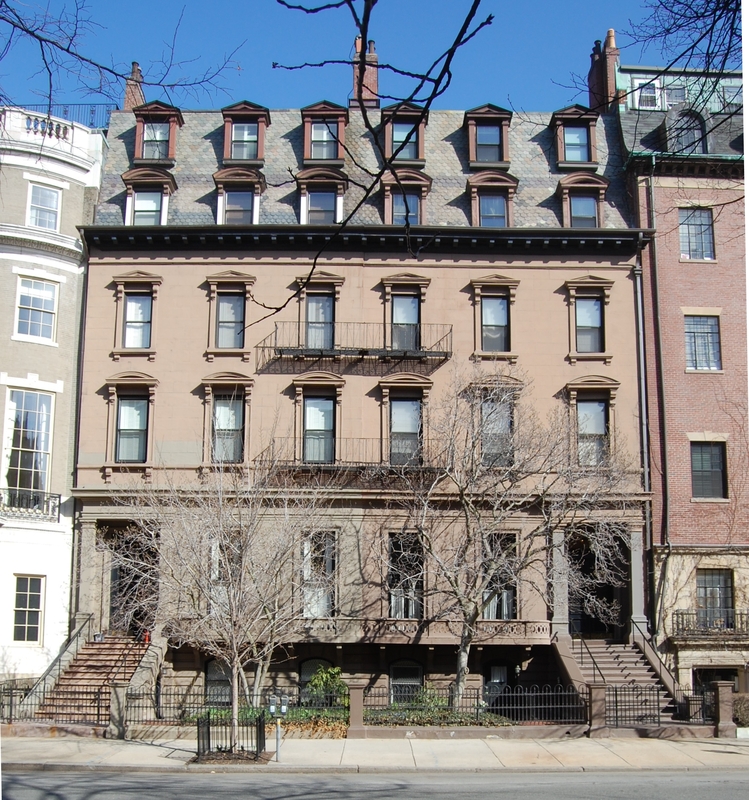 In April of 1984, The Mayflower Trust had filed to extend the fifth floor of the building forward approximately ten feet, to the roofline, to be constructed in conjunction with a rooftop addition to 144 Beacon, creating a double mansard roof faced with slate and with fenestration that matched the lower original windows. The proposal was approved by the Back Bay Architectural Commission in December of 1984, and by the Board of Appeal in October of 1985, and was constructed soon thereafter.